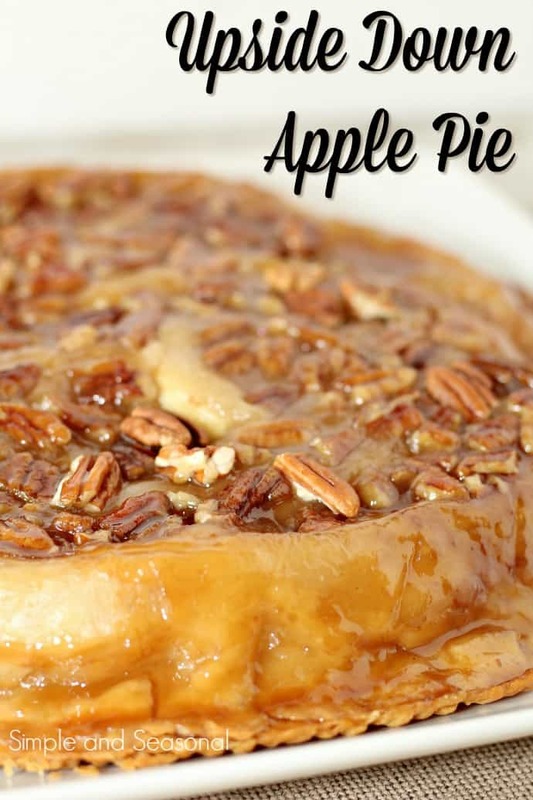 Turn regular old apple pie on its head with this sticky and delicious Upside Down Apple Pie! It’s the perfect companion to pumpkin pie for Thanksgiving dinner. I’m totally cheating with this one. I didn’t even MAKE this Upside Down Apple Pie. But I did eat it. And I watched my sister-in-law make it. When it came out of the oven, I knew I needed to snap a picture so I could share it with you. After several years, I finally got some new pictures taken, included step by step images to help clarify the directions. The sticky, delicious pecan layer goes into the pan first (after you’ve lined it with thoroughly greased parchment paper!) and then you put the first pie crust on top of it. Remember, you’re building the pie upside down, because you’ll flip the whole thing when it’s done. Next comes your apple pie filling and another pie crust. At this point, it will look like any other apple pie, but that nutty goodness is waiting underneath it all. The last step is to bake it to a golden brown and then flip the whole thing over to reveal that golden, sticky topping! 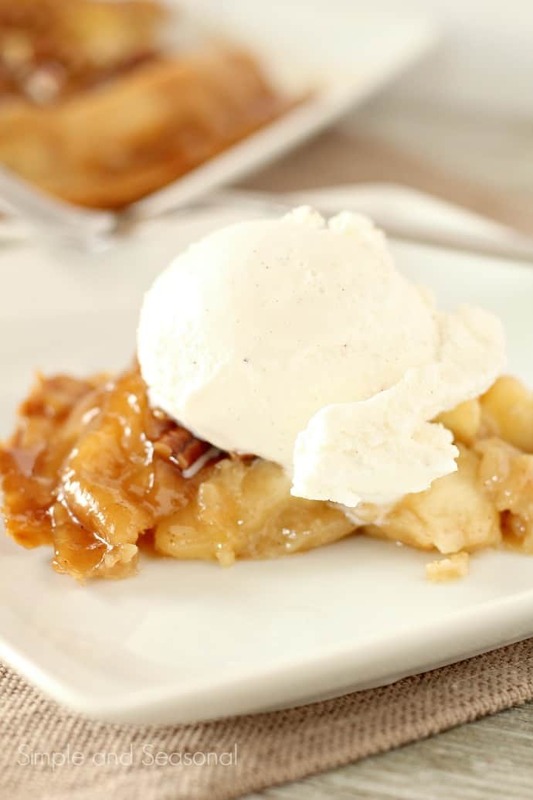 Turn regular old apple pie on its head with this sticky and delicious Upside Down Apple Pie! It's the perfect companion to pumpkin pie for Thanksgiving dinner. 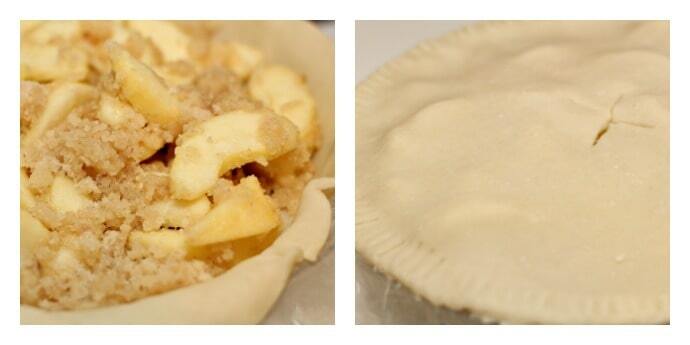 Coat a deep-dish pie plate with nonstick cooking spray and line it with parchment paper. Coat the paper with cooking spray also. A regular pie plate is OK, but there may be some spilling during cooking (just ask my mother-in-law's oven) so put a cookie sheet or something under the pie plate. In a large bowl, combine sugar, flour, cinnamon and the remaining 2 Tbsp of melted butter. Mix well. Add the apples in and toss gently to coat. Spoon into the pie crust. Place the second crust over the apple mixture. Trim and fold the edges together to seal and cut some slits in the top of the crust for venting. Depending on the size of your pie plate and your refrigerated crusts, this may take a little tweaking here and there. Bake at 375° for 60-75 minutes or until crust is golden brown. Let the pie cool for 5 minutes and then place a plate that is larger than the pie on top of it (Amie used a cake plate) and flip it over. 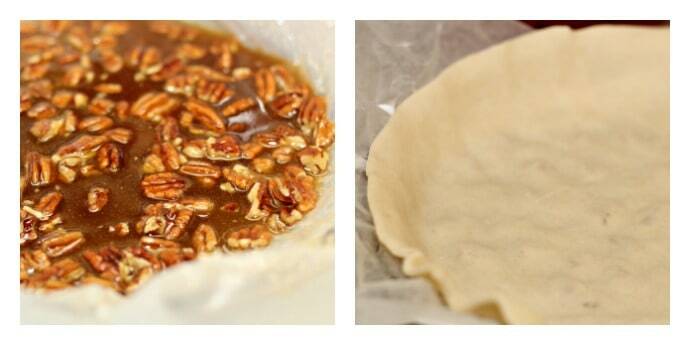 Remove the pie plate and gently lift the paper. Allow to cool. Don't forget the ice cream! The shiny, sticky caramel created in pan is the best part! It’s hard not to pick at the pie as it’s cooling. 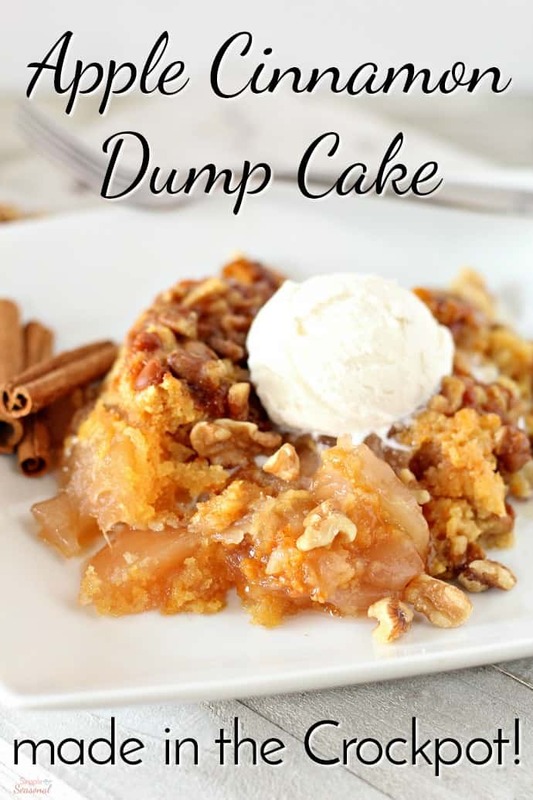 🙂 Amie found this recipe on Noble Pig and there are great step-by-step photos there if you need more visuals. 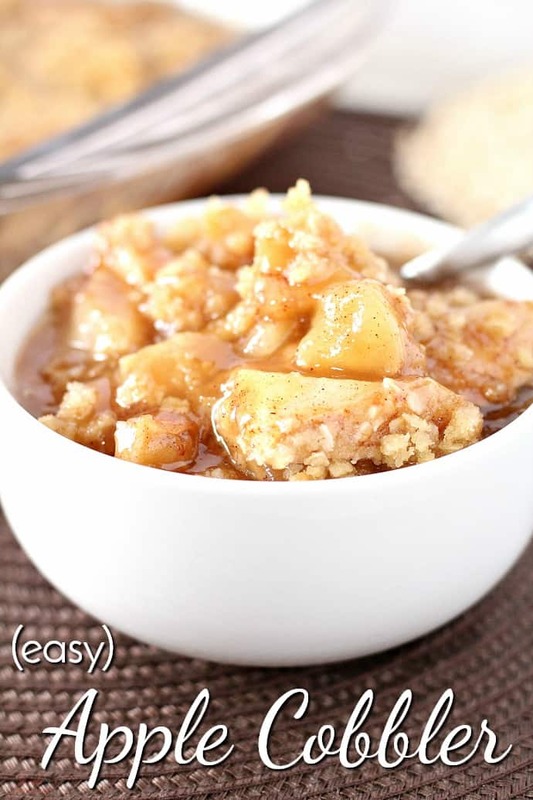 If you like this Upside Down Apple Pie, you might like these apple recipes! I have made this many times (I am not sure where I first obtained the recipe, but have had it for about 10 years) and it is always a hit. It is perfect for making a day ahead. I flip and cool it, then cover after it is completely cooled. If refrigerating, do so uncovered until it’s as cold as it will get, then cover to avoid condensation forming on the covering and dripping onto the pie. It is not neccessary to refrigerate, but it is quite a nice treat to have a slice of cold pie for breakfast….if it lasts that long! This makes a large, indulgent, luxurious dessert that will be requested time and again! I love pie for breakfast too, especially this pie. I have tried a recipe similar to your’s but it didn’t have the pie spice. I love the difference it makes. Yum, Yum! I’ve made this many times and it is as good as it looks. I also entered it in our local fair taking the top prize. Highly recommend. Will this be ok if I make it the night before? I’ve made it for my family twice now & it was yummy, but now I’m making it to bring to our Thanksgiving dinner & I want to make it the day before serving. Someone else just asked the same thing 🙂 I believe so. The leftovers were good the next day. But I would wait to “flip” it until it’s time to serve. Reheat it in the oven a bit to get it warm and gooey and then flip and serve. Will this still taste good if made the day before an event? I believe so. The leftovers were good the next day. But I would wait to “flip” it until it’s time to serve. Reheat it in the oven a bit to get it warm and gooey and then flip and serve. Thank you 🙂 Sorry if this was a repeated question. Happy Thanksgiving! This is the best apple pie I’ve ever tasted. It was super easy to make. Only change I made was to use 3/4 cup of sugar instead of 1 cup .. I will be making this recipe again and again . 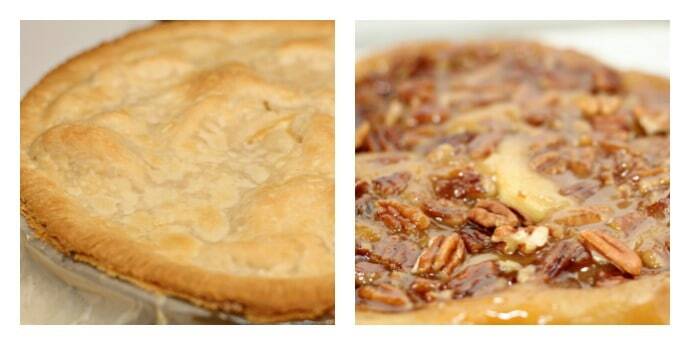 My husband doesn’t care for pecans but he loved this pie! I’m so glad to hear you loved it! Sounds like a little less sugar didn’t hurt anything. 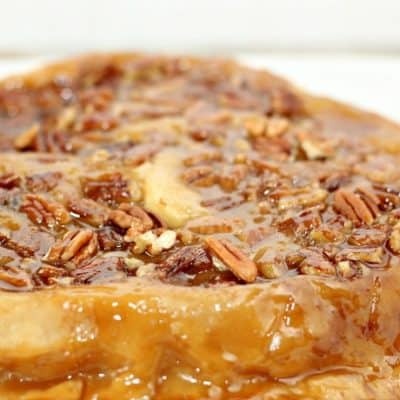 I’m the same way-I don’t really like pecans, but I LOVED this pie! I’ve made the upside down apple pie a few times and it’s ALWAYS a big hit ! Tastes every bit as great as it looks to Our! i love the upside down apple cake. I make the upside down pineapple cake and really never thought of just doing apples. Thanks for the recipe. We love upside down pineapple cake, too! Oh my sweet geezus <3 I have multiple apple trees in my yard and am always looking for apple recipes.. I've made so many pies already this season, but THIS is a whole new level! Definitely making it tomorrow. Thanks for sharing!! Well, I certainly didn’t do it any justice with my quick cell phone photo but you can still see the sticky goodness. It was totally new to me, too! I’m so glad my sister-in-law made it! Nicole, this sounds so good. I wish I could have a piece of this incredible up side down apple pie! What an incredible pie! My hubbie would go crazy over it! This looks really good Nicole! I bought a bunch of apples and was thinking of baking something this week. I have never made and Upside down apple pie before! You nailed it! Amazing upside down apple pie! This looks delicious, and I DO love pecans. 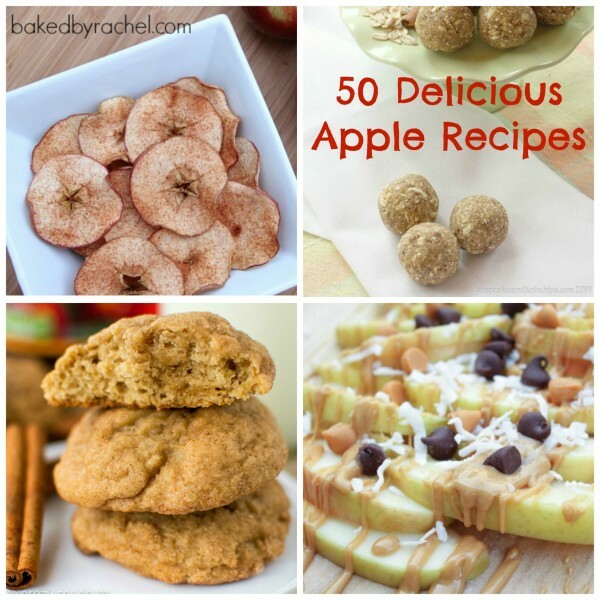 Sticky buns was one of my favorites, but I love the idea of apples instead of all the bread. Thanks Nicole and Jamie. I think so, too! Even though I don’t love pecans, I really liked this!